By the end of the conference, almost no one could recognize the international regime, which seems to change continually these days under the press of events. Spurred by tactical disagreements (in the early 20th century, it was the Balkans; today it is the Levant and near Middle East), great and medium-size powers are increasingly at odds. The Eastern Mediterranean is full of U.S., Russian, Turkish, Israeli, Iranian, Syrian and NATO-member maritime patrols. In the South China Sea, the United States and China square off as China builds artificial islands and claims the vast body of water as a territorial sea — akin to the U.S. claiming the entire Gulf of Mexico. Russia blithely interferes in the U.S. presidential election and the West continues with strong sanctions on Moscow. In the high north, the Arctic ice is melting. As rich shipping lanes are uncovered throughout an ever-longer Arctic summer, the opportunity for geopolitical ambitions rises. A brace of NATO and European Union nations (Canada, the U.S., Iceland, Denmark, Norway, Sweden and Finland) face off across the drifting sea ice from the Russian Federation. A new race to build icebreakers is off and running and the U.S., with a single one of any size that is seaworthy, is lagging. China’s defense budget is rising rapidly, its shipyards are building new aircraft carriers and it is emphasizing “sharp power,” a blend of hard and soft power that focuses on geo-economics and the newly emergent term “geo-tech.” Both are forms of 21st century power that challenge the U.S. and its Western allies globally, especially in Latin America, the Caribbean and Africa. China’s internal challenges — lack of a democratic process for leadership transitions, a badly damaged environment, an overheated real estate market, badly skewed gender-balance demographics coupled with an aging population — could cause it to lash out and find enemies abroad to slay. Russia in many ways is a failing empire — a truly dangerous international entity throughout human political history (consider the Austro-Hungarian or Ottoman empires in the run-up to World War I). Its demographics are declining, exacerbated by high levels of alcoholism and drug addition; the economy has yet to truly diversify beyond oil and natural gas; the population is poorly distributed, with 80 percent living west of the Ural Mountains, leaving a huge, empty and tempting space for China to contemplate; and its leader has a nearly pathological hatred for the U.S. and NATO. And the Russians are perfecting a lethal combination of information warfare, electoral interference, special operations, cyberwarfare and propaganda even as they chafe bitterly under Western sanctions. Russia is a great nation — a civilization by any measure — that is becoming an angry island in the center of Eurasia. The European Union staggers along, as its most powerful and important nation, Germany, struggles to find a path for effective governance. An ambitious but utterly inexperienced president leads France, while the United Kingdom is departing the EU even as the rest of the eurozone finally begins to rebound from the 2009 recession. 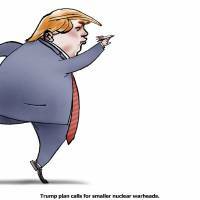 Worst of all, there are increasing calls to “normalize” the way in which we view nuclear weapons. Russia continues to play the nuclear card, with Vladimir Putin seldom missing an opportunity to remind the West that he has tens of thousands of nuclear weapons at his disposal. Russian doctrine increasingly sees so-called low-yield weapons, warheads that can be “dialed down” to destructive power less than that of the bombs dropped on Hiroshima and Nagasaki, as equalizers for their badly out-trained conventional forces. 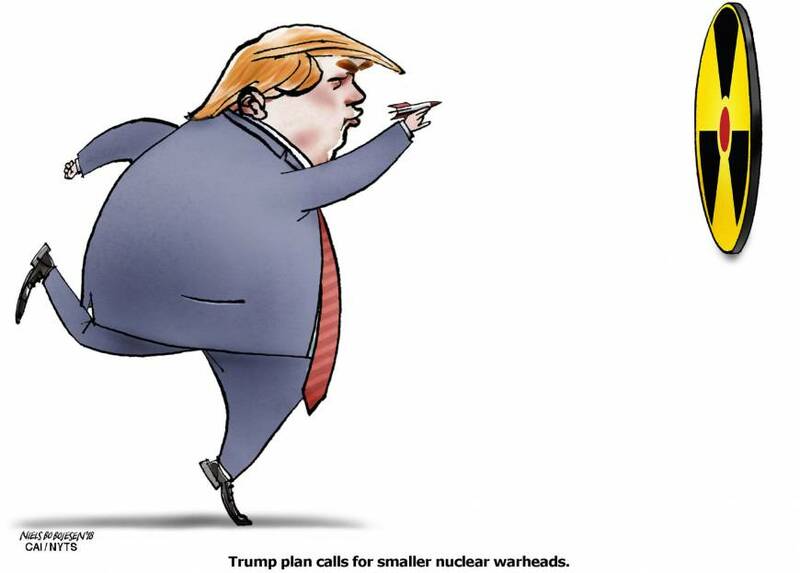 The U.S., conversely, continues to upgrade its arsenal and is beginning to talk about using sea-launched missiles — with which the target nation has a difficult time differentiating between a conventional and nuclear attack — tactical nuclear weapons. This is a destabilizing mistake. All of this taken together with the new National Security Strategy, the National Defense Strategy and the Nuclear Posture Review — alongside a $700 billion defense budget and a proposed 30 percent cut to diplomacy, development and foreign aid — gives any observer a feeling that we are building a case for a great-power war. What can we do to avoid drifting toward a potentially devastating global conflict? Listen better. Watching leaders from all sides talk past each other at the conference in Munich reinforced the need for simply reducing the “transmit side” of the communication path in favor of receiving more. In Munich, Russian Foreign Minister Sergei Lavrov and Ukrainian President Petro Poroshenko described the war in southeast Ukraine in diametrically opposed ways. Poroshenko brandished a battered EU flag like a cape, begging Europe “to keep the door open” for his nation. Lavrov smoothly blamed it all on NATO. Neither heard a word the other said. Repairing this disconnect can occur not only through formal diplomatic channels, but through “track 2” diplomacy via academic institutions, think tanks, conferences, sports diplomacy and other, softer means. And despite all the frustrations with the United Nations, it at least provides a coherent forum to talk. As Churchill supposedly said, to jaw-jaw is better than war-war. He was right. Focus on arms control. All nations have a vested interested in arms control, which reduces cost, builds confidence and increases transparency. While several major efforts are stalled, including a follow-on to the START series of treaties, we can begin with relatively “small ball” discussions on such things as maritime patrols and interactions at sea; procedures to reduce the possibility of collisions between military jets; demilitarizing the Arctic; and managing space-based offensive systems. We have serious experts in this area, from former U.S. Secretary of Defense Bill Perry to former NATO Deputy Secretary-General Ambassador Sandy Vershbow. Use them. Strengthen nuclear counter-proliferation. As U.S. Secretary of Defense James Mattis has said, there is no such thing as a tactical nuclear weapon. The nuclear powers must band together to avoid allowing more nations to join the nuclear club. This will require a combination of intelligence-sharing; interdiction of radioactive material; embargoing nuclear knowledge and scientist travel; and U.N. sanctions. In the end, we can probably defuse any conventional confrontation; once a conflict goes nuclear, it could become impossible to contain. Think strategically. While the Trump administration has produced several new high-level documents, it has yet to construct a meaningful strategy to deal with three crucial global challenges: the Middle East (with its complex overlay of religious and geopolitical infighting); China and the South China Sea (where China will continue to play the long game); and Russia (where we must, over time, persuade Putin that the future of his nation lies with the West). National Security Adviser H.R. McMaster and his bright team should take up those three topics next. Be ready. If all the U.S.’ efforts to create the best strategy, focus on containing the nuclear options and diplomacy fail, it must be ready to fight. Mattis gets that, and the U.S. Department of Defense under his leadership will be ready to “fight tonight.” That capability is an important part of deterrence, of course. All of this must be done while the U.S. avoids a war on the Korean Peninsula, where — fortunately — its interests align better with China’s. After the Olympics, the tensions will return in Korea. One hopes the U.S. can work positively with China and perhaps build on that going forward as it faces larger, more complex disagreements on trade, cyberpower and East Asia. The chairman of the Munich Security Conference, German diplomat Wolfgang Issinger, summed it up by saying simply, “The world has moved closer — much too close — to the brink of major interstate war.” It is like 1914 again — except we have nuclear weapons. We need strong leaders who see that we still have a chance to wake up from this dream.